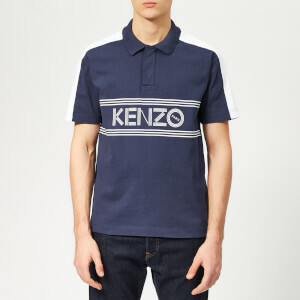 KENZO cream polo shirt with ‘Jumping Tiger’ embroidery on the left chest and signature KENZO embroidery on the right side. 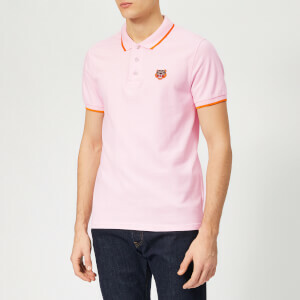 Made in Portugal from woven piqué cotton, the men's polo shirt is detailed with a concealed three-button placket and a contrasting black polo collar and cuffs with contrasting white tipping. Complete with logo-engraved buttons and tonal ‘K’ embroidery on the upper back.